Place 1/2 of a graham cracker in the center of each sheet of aluminum foil. Place 1/4 of a milk chocolate bar on top of each cracker. Place 1 marshmallow on top of each chocolate bar. Top with the other graham cracker halves. 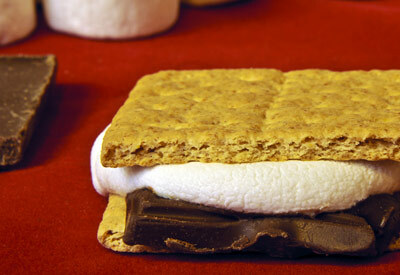 Wrap foil around the s'more and place on the grill. Grill for 4 to 5 minutes or until marshmallow is melted. Take extreme caution when removing the foil packets from the grill and opening the contents which will be very hot!